There were 3 sections in the paper with 20 questions each section. 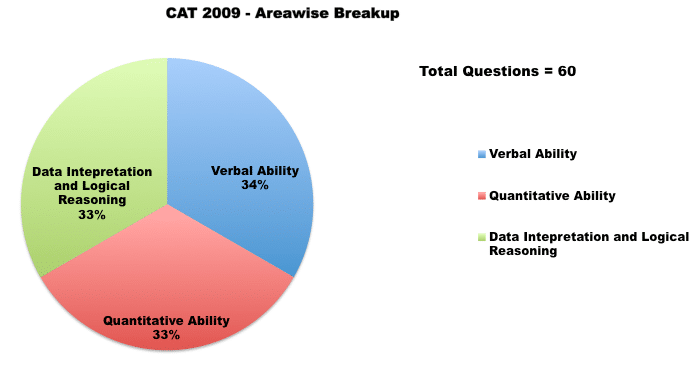 The difficulty level of CAT 2009 was of moderate. The difficulty level of this section was of Easy-moderate. The level of the questions was moderate to difficult. 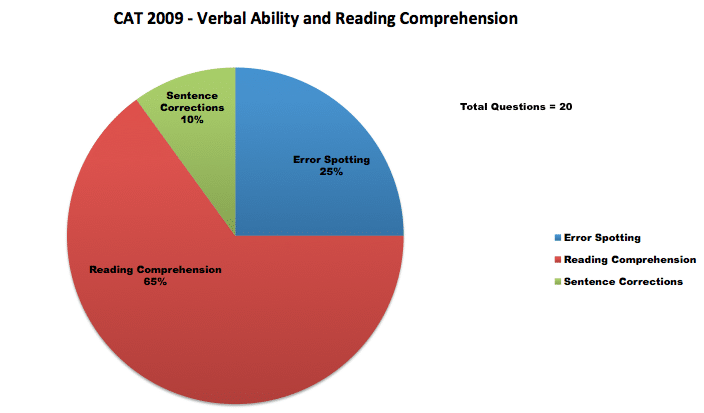 Verbal Ability covered entirely every topic of English usage such as Sentence Correction, Critical Reasoning, Parajumbles, Paragraph completion, Paragraph Summary and Reading Comprehension. This section was a bit lengthy as it involved tedious calculations. 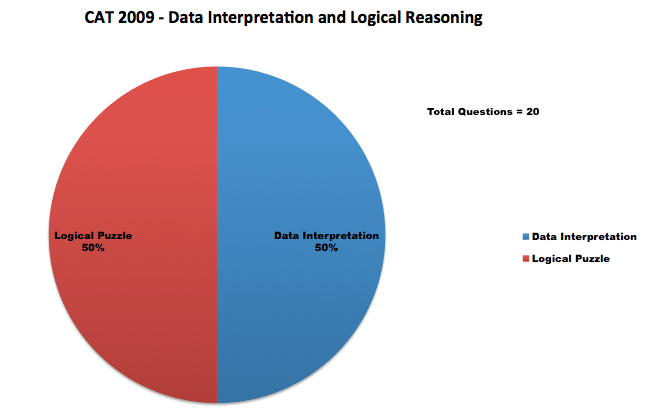 DI section mainly involved sets on Pie charts, venn diagrams and Logical DI. Logical reasoning questions were more or less logical based and require less or no calculations. LR questions were based on Logical arrangements and puzzles.